A national grant aligning community colleges with the auto industry to re-train their workers. A College level public speaking class with emphasis on competency based learning. A high school level chemistry class highlighting the role of media integration. Why the flipped classroom works—using Chickering and Gamson’s Seven Principles and Bloom’s Taxonomy. More than 400 community colleges around the world are NISOD-members, including almost every large community college district, the majority of urban and technical colleges in the United States and Canada, and more than 200 small, rural colleges around the world. For more information, visit www.nisod.org. This series will begin at the end of February and continue through April. Anyone interested in attending these webinars can register at https://softchalk.com/learn-more/webinars/innovators. 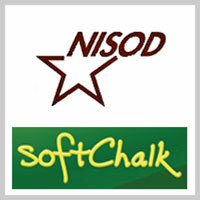 SoftChalk, LLC is an award-winning provider of e-Learning software for worldwide education and business institutions. Specializing in the development of intuitive, easy-to-use products which allow instructors to create, manage and share powerful and professional-looking content for e-Learning, Flipped and Smart classrooms in K-12, higher education and corporate training. For more information, visit www.softchalk.com. Since 1978, the National Institute for Staff & Organizational Development (NISOD) has been dedicated to the professional development of faculty, administrators and staff at two-year institutions and to the continued improvement of teaching and learning, with the ultimate goal of student success.